Four Week Sessions Archives - Lochearn Summer Camp for Girls - Our Girls Sleepaway Camp Blog! 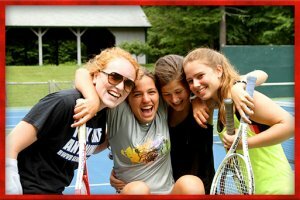 Of all the questions we receive at Lochearn throughout the year leading up to the summer, the most frequent from parents and prospective campers alike is one we love answering: Why the four-week experience? It’s simple, really. We want to build real relationships, incite genuine growth, build confidence, and, rather than force someone to find their passions, give everyone the time to fall in love with the camp experience in her own way. 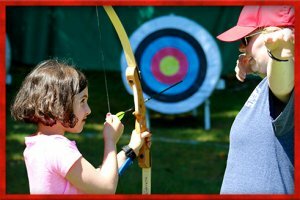 We at Camp Lochearn believe it’s much tougher to develop these connections – both with others and within yourself – in just two weeks, where the outside world continues to call you back, as do family and friends from home. 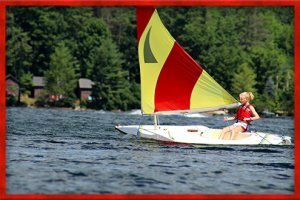 For everyone on the shores of Lake Fairlee, it’s just you and camp, which is built around our core values: Leadership, Mentoring, Initiative and Passion. A two-week experience gives girls an opportunity – an excuse, even – to stay in the background and be a seer rather than a doer. We often say “We don’t have invisible campers,” because it’s true. We know it’s tough to open yourself up to others. We’ve been there. It takes confidence, strength and time. We don’t want to rush that growth or inhibit it in any way. Some arrive at the gates ready to conquer those 27 days, and that’s wonderful. But others can’t. It’s not that they’re incapable – we’ve yet to meet anyone who arrives at Lochearn and is – but they often need someone to lead them there. That’s why the relationships built in the cabins on Lake Fairlee are key, and we often see campers emerge with life-long relationships. Realizing you have more in common with others – things you often can’t see in the first few days of meeting someone – is an invaluable experience, and it’s one that can only develop naturally. There’s no time limit on it. And it can take time to find out what makes you love camp. It’s not your fault – it happens to most. You may not know how much you enjoy horseback riding, skiing, gymnastics or fine arts. Many don’t discover what they love until they’re old and grown, or before it’s too late. We strive to give you 27 days of discovery when it comes to finding your passion, and we hope our campers and staff alike bring a kind and caring heart to give every girl the opportunity to grow together. From all over the world, our staff is carefully chosen to not just bring a guiding eye, but often they’re brought to Lochearn because they’re relatable. The camper-counselor relationship is built on guidance and respect for everyone rather than authority. Whether it’s because they’ve been to camp before, or they’ve taken an atypical path in life, our counselors are leaders we hope our girls aspire to be, because they’ve found confidence in embracing what they love. We don’t want to rush what makes you YOU, and the four-week experience makes it possible. Let’s passionately grow together! 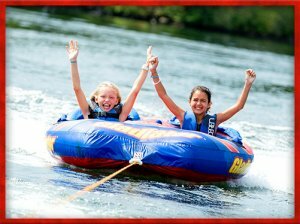 This entry was posted in Camp News and tagged All Girls Four Week Summer Camp, Camp Lochearn, Four Week Sessions, Four-Week Summer Camp, Lochearn Lassies, New England Summer Camp, Overnight Camp, Sleepaway Camp, Summer 2018, Summer Camp For Girls, The Lochearn Four Week Overnight Experience, Three Week Sessions, Vermont girls camp, Vermont Summer Camp on March 15, 2018 by Lochearn Admin.